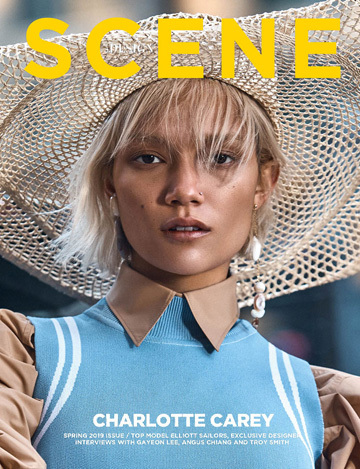 With this season’s fashion very much inspired by any decade you can think of, at D’SCENE magazine we celebrate our first year with the colourful nod to summer itself. Our two cover stars are indeed supermodel icons, Brad Kroenig and Baptiste Giabiconi are taking the front of our anniversary issue with an air of easy elegance. Few pages down the line another supermodel group ensembles in Milan for the latest session coming from our very own Igor Cvoro, where runway icons are mixed with campaign boys as well as kings of editorials. Nevertheless Sebastian Sauve is eponymous to summer itself in the nuanced shots captured in Australia by Mr. Pat Supsiri, while our Milan Fashion Editor Emily Lee is following with a superb homage to the house of Versace and now a traditional top models series. 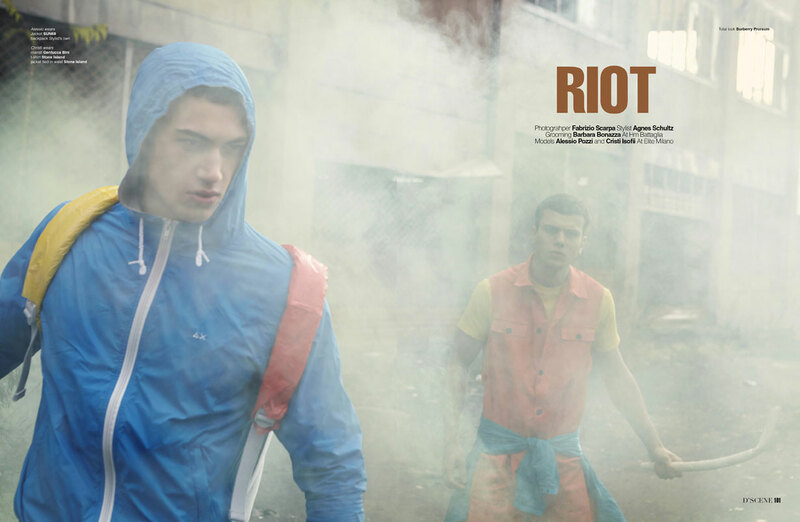 River Viiperi and Sean Harju are rebels in their own right posing for Sinem Yazici in New York, while the true rebellion bursts out on the outskirts of Milan with Alessio Pozzi and Cristi Isofii photographed by Fabrizio Scarpa. Later we are easing you into the night with a chic shoot captured by Igor with a styling sentiment close to (as of recently) our Paris contributor Nicoleta Iliescu. While men might be much louder this time, you should not to miss the showstopping girls in Christopher Maul and Aitor Matteo‘s shoot as well as modeling sensation on the rise Nina Daniele photographed in L.A. by Elias Tahan for our Beauty supplement cover (below). Also on the now regular FFF spread, let it be written we might have found a new Naomi. Colours are not the only sentiment of Awakening in this issue, there is something in common with models we worked with this time. On their own they formed a new movement, today they are able to communicate with literally millions. A couple of our new D’SCENE stars have already passed that magical 500k number on their insta follower counters, while a few of them are also dominating on Vines, Snapchats, or any other app intimidating for anybody above the age of 25. It is a new era for the model scene, where models can thank their fans for getting them back on the covers. With a power to communicate their message instantly to followers toppling numbers of medium sized cities, Supermodel 2.0 era is alive and awake. D’SCENE Summer 2015 issue – covers with Baptiste Giabiconi and Bread Kroenig with 30 top models!